Wow love the brown suede jacket and the boots a lot! Ah j'adore ce look! Le pull de ta collection est canon! This looks great, love the leather jacket. 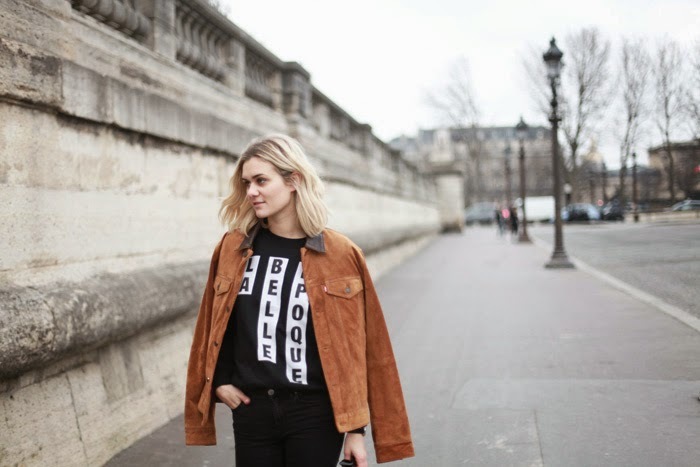 Ce blouson camel est absolument canon ! Love the jacket, you look awesome! Love it! the suede jacket is gorgeous, as are those amaazing over the knee boots ! That jacket is so trendy! I would like to know the size you are wearing in the photos. La veste est vraiment très Sympa, un côté "Country" je trouve... Il ne manque plus que le chapeau de Cow Boy ;) !! J'aime beaucoup ce look ! J'aime j'aime j'aime ce look.